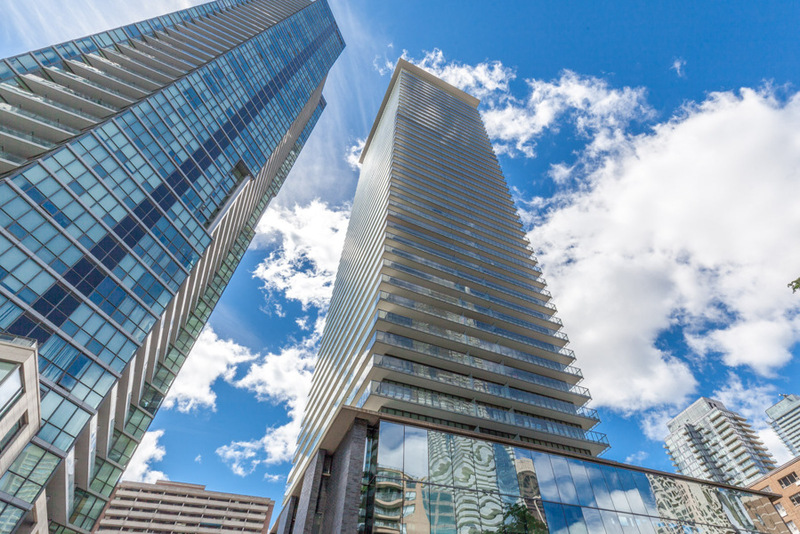 One Of A Kind 1 Bedroom Unit With A Generous Living And Dinning In The Heart Of Yonge And Bloor. This Stunning 1 Bedroom Unit Includes A Semi Ensuite, Shelving In Closet. Floor To Ceiling Windows Throughout. Wrap Around Balcony. 9' Ceilings. Upgraded 5" Hardwood Planks. Linear Kitchen With Upgraded Full Size Kitchen Aid S.S. Appliances. Full Size Washer And Dryer. Steps Away To Subway, Yorkville, University Of Toronto, Ryerson, And Great Building Amenities. Stainless Steel Kitchen Aid Fridge, Stove, Dishwasher, Microwave/Range Hood. Full Size Washer; Dryer. All Lighting Fixtures, All Window Coverings Included. Parking Available For Rent In Building For Extra. Please call for a showing.